With US equity indexes closing significantly lower, the VIX was naturally on the rise, settling +14.4% @ 18.37, the highest daily close since Oct'7th. 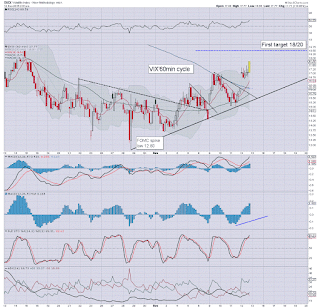 Near term outlook offers further weakness to the sp'2020s, and that should equate to VIX briefly in the low 20s. 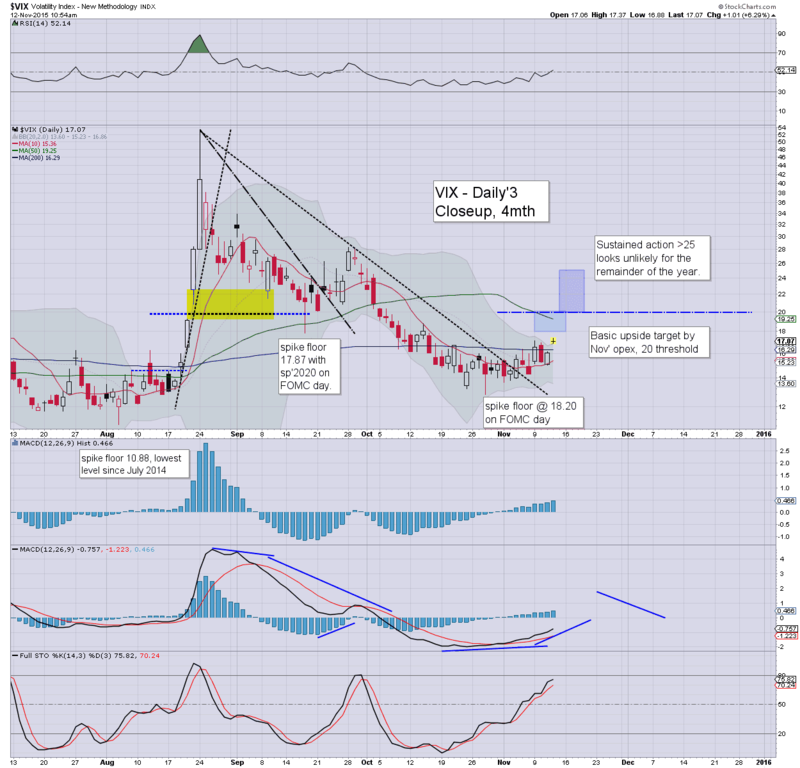 A second consecutive net daily gain for the VIX. A brief foray above the key 20 threshold looks due... whether tomorrow.. or more likely... early next week. *closing hour action: broad weakness, with net cycle lows. Watching Cashin on CNBC in the closing minutes... its the old talk of 'how can the Fed increase rates as commodity prices are falling so much?'. I do understand, but then the lower prices are due to over-supply.. it is NOT a demand issue. Those maniacs at the Fed had better now back down yet again in December, otherwise the uncertainty will drag into next year.. and that is far from bullish... it could cause all manner of problems in world capital markets. 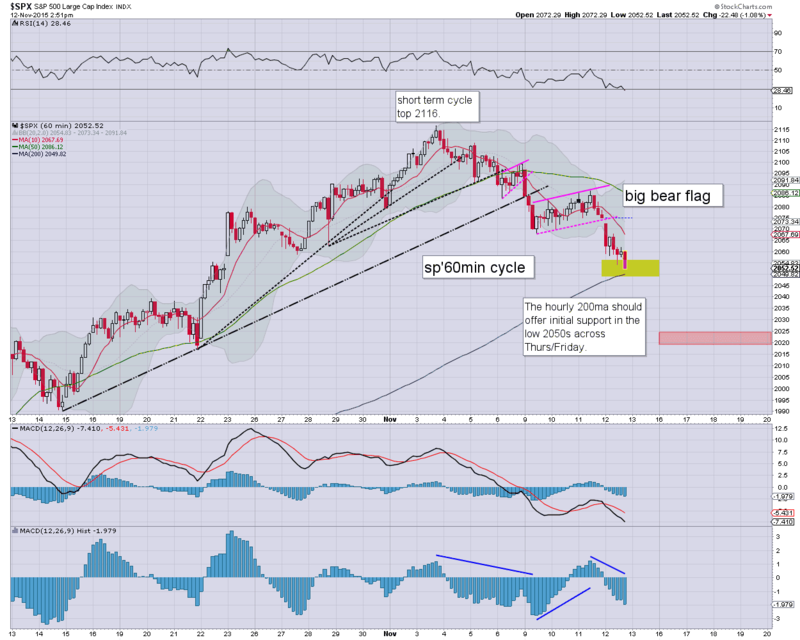 More than anything... very pleasing to see the big bear flag play out... perfectly. For now at least... the market is behaving itself. US equity indexes are set for significant net daily declines, with the sp' on track for the 2040s with VIX 18s. More broadly, the 2020s - with VIX 20s, look due. 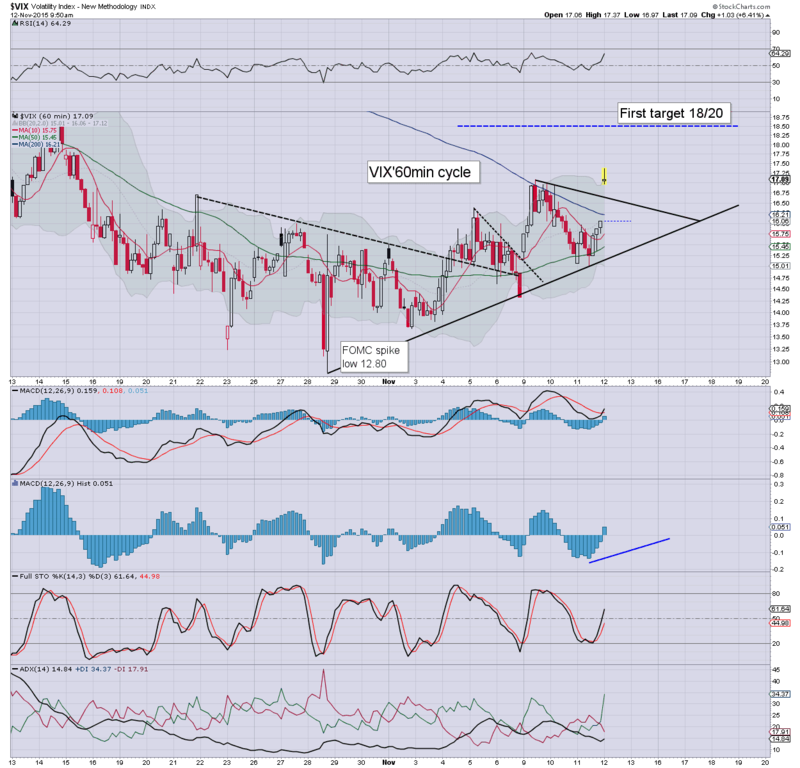 Metals remain weak, Gold -$2 @ $1082, with Silver -0.2%. Oil remains particularly weak, -2.8% in the $41s. We've seen a fair few attempts by the bull maniacs to rally this market today.. .all have failed... as we've not simply fallen enough.. nor seen enough time elapse (from the bear flag break) yet. Today has been good.. and has proceeded as expected. 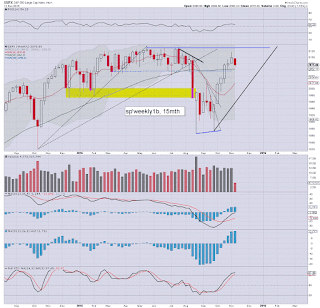 *to be clear.. the more natural retrace to the sp'2020s looks far more viable next Mon/Tue, than tomorrow. 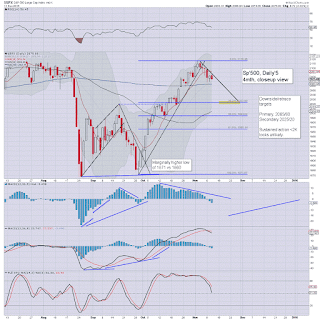 US equities remain broadly weak, with the sp'2040s due.. along with VIX 18s. A capitulation-washout early next week in the 2020s - with VIX 20s looks probable. Metals remain choppy, Gold -$1 at $1084. Oil remains significantly lower for a second consecutive day, -2.0% in the $42s. *weakness in Oil/Nat' gas is certainly help pressure the main market lower, but I don't see it as a recessionary warning. There is simply too much supply... not that I see lower energy prices as anything but good.. well, except for the producers! Price action remains a little choppy, as clearly there are buyers out there.. looking for renewed strength into year end. Relative to the bear flag - which stretched almost 3 days, and the previous down wave - lasting almost 4 days... it is not bold to just add 3 days to yesterday afternoon, taking us into late Monday morning. If we're somewhere around 2035/20 zone Monday... that will be real tempting.. even for yours truly. Hopefully there will be an update on what price the pet store took for the boy. US equities are significantly lower, with the sp' in the mid 2050s... along with VIX 17s. A daily close in the 2040s with VIX 18s remains viable. 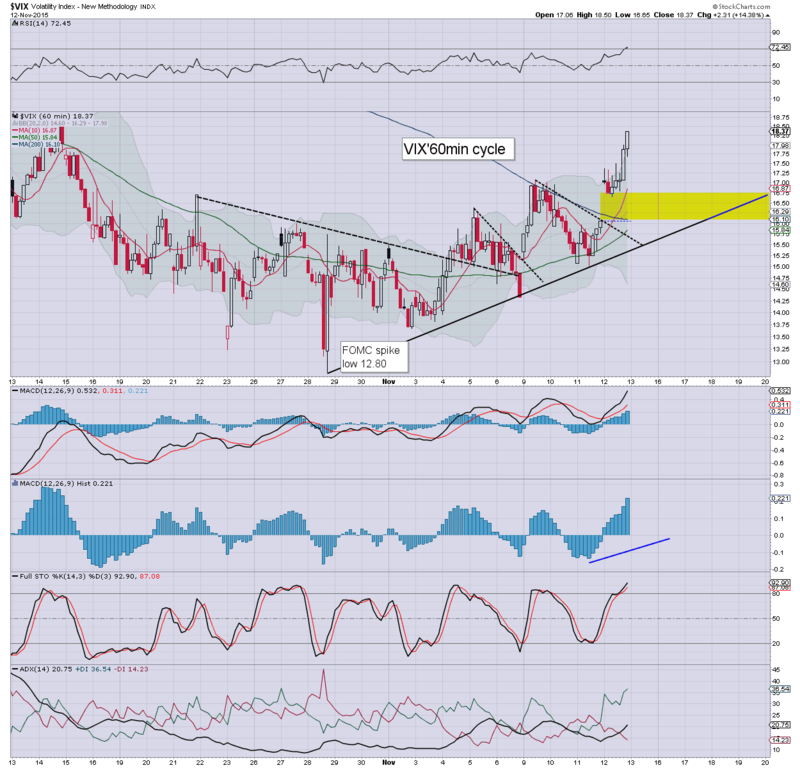 Despite the USD -0.3% in the DXY 98.70s, metals are weak, Gold -$4, and that is naturally impacting the miners, GDX -1.2%. Oil is headed for sub $40s... -2.9% in the $41s. The US market remains broadly weak, and it should remain a trend day... the 2040s look due this afternoon. 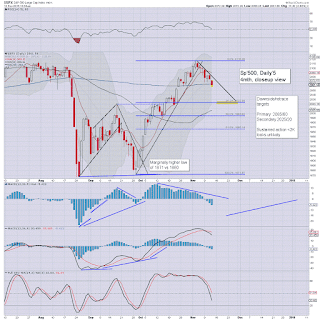 A weekly close in the 2040s won't be easy though.. as the dip buyers are STILL out there. There is notable underlying strength in DIS, AAPL, INTC, and GE. That should be a reminder to the equity bears the broader upward trend remains intact. One of the better miners - Freeport, is significantly lower for the 7th consecutive day... new multi-decade lows ($6.29, Dec' 2008) look due, as Copper prices look set to lose the $2.00 threshold. US equities are seeing selling into each attempt to rally. A daily close in the sp'2055/45 zone looks probable.. along with VIX 18/19s. 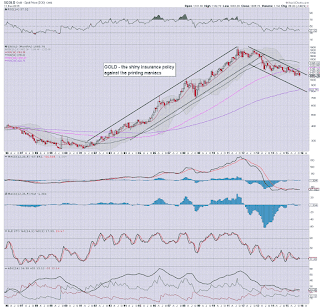 Metals remain weak, Gold -$5, set to take out the multi-year $1072 low. Oil continues to implode as inventories just keep on building (4.2 million barrels), -2.6% in the $41s. Price action continues to full support the notion of a sig' net daily equity decline... having broken not just the bear flag, but the 200dma of sp'2064. The 2020s look highly probable... and that will likely equate to VIX briefly above the 20 threshold. I could think of some other less polite captions, but 'clueless' is always appropriate for the maniacs at PRINT central. They never lead... they always react. 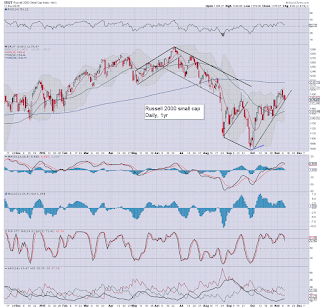 US equities are broadly weak, with the sp -14pts @ 2060.. holding under the 200dma (2064). 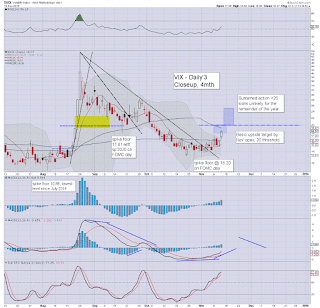 VIX is showing some upside power, +6% in the 17s. Metals remain weak, Gold -$5, with Silver -0.2%. Oil is -1.9%.. ahead of the next EIA report. *... awaiting the EIA report.. due at 11am. So.. we remain weak... and things look on track. 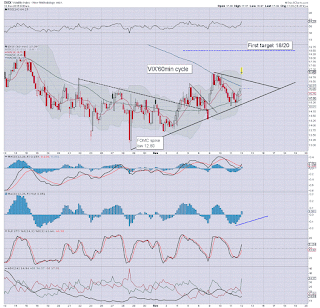 The sp'2020s.. with VIX in the low 20s.. look within range for next Mon/Tuesday. 11.01am.. 4.2 million barrel surplus..... Oil swings wildly... back to -1.9%. 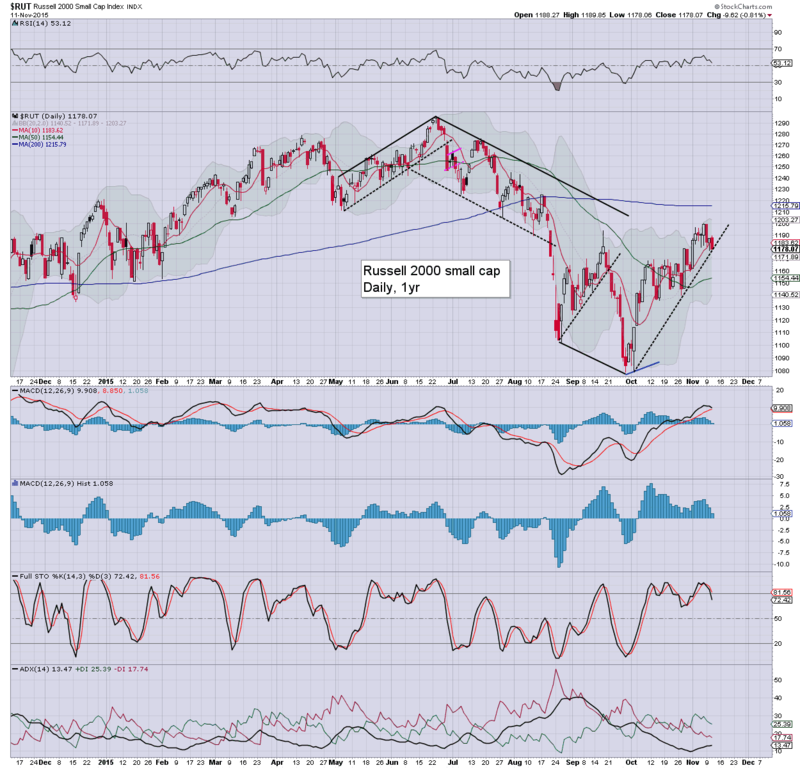 Equities have seen a nano spike to sp'2066... but broadly... this is all minor noise. With the Oct'27th low taken out... its open air sub $40 for WTIC. 11.21am.. the weakness resumes... sp -12pts.. 2063. 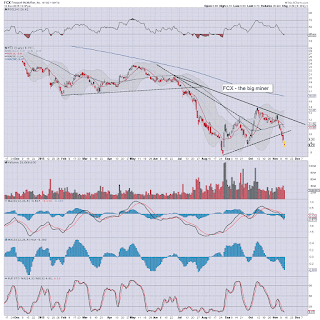 Gold -$6... 1078.. a mere $6 from breaking a new multi-year low. 11.37am... sp -14pts @ 2060.... this is all rather entertaining. 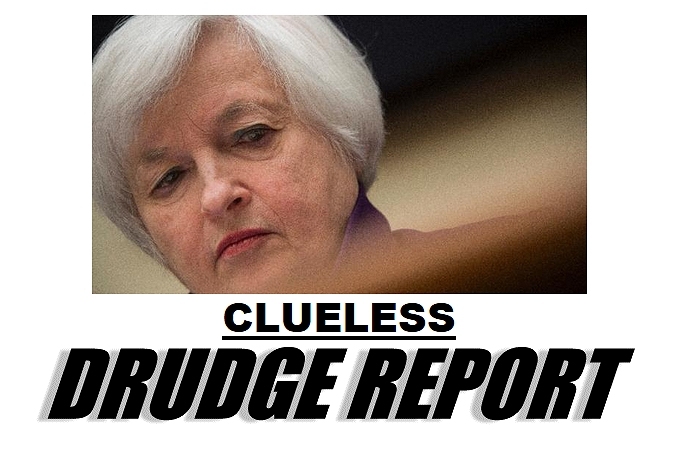 Fed official Dudley.. coming right up! 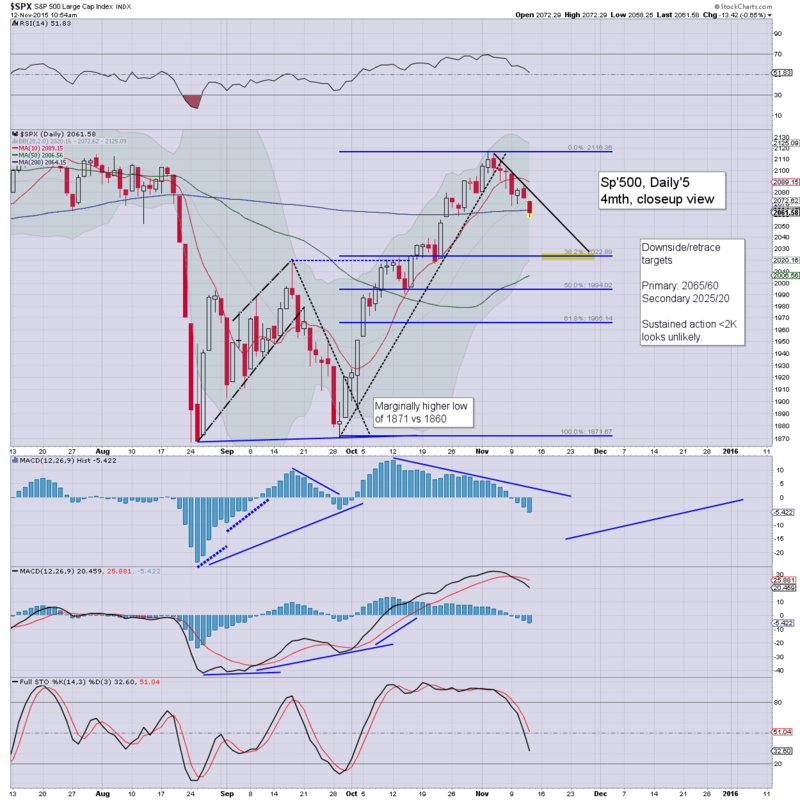 US equities open lower, with the sp' taking out the 200dma (2064)... the 2055/50 zone looks highly probable today. Metals are seeing some swings, with Gold turning +$4. 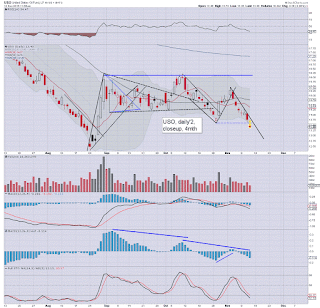 Oil remains broadly weak, -2.2% in the $42s.. .ahead of the next inventory report. The market had formed an essentially perfect bear flag across the past 3 days, and that has been absolutely confirmed today.. with a very decisive break lower. .. and that is why I try to focus on style of price action, but even more so.. price structure. The sp'2020s remain a valid target for early next week. Sustained action <2K looks out of range... as the broader trends are back to bullish. Price action is pretty wild so far today... big % swings... but broadly weak. Busy day ahead.... not least with the EIA oil report (11am)... and further Fed officials babbling about interest rates. Good morning. US equity futures are moderately lower, sp -7pts, we're set to open at 2068. USD is +0.1% in the DXY 99.00s. 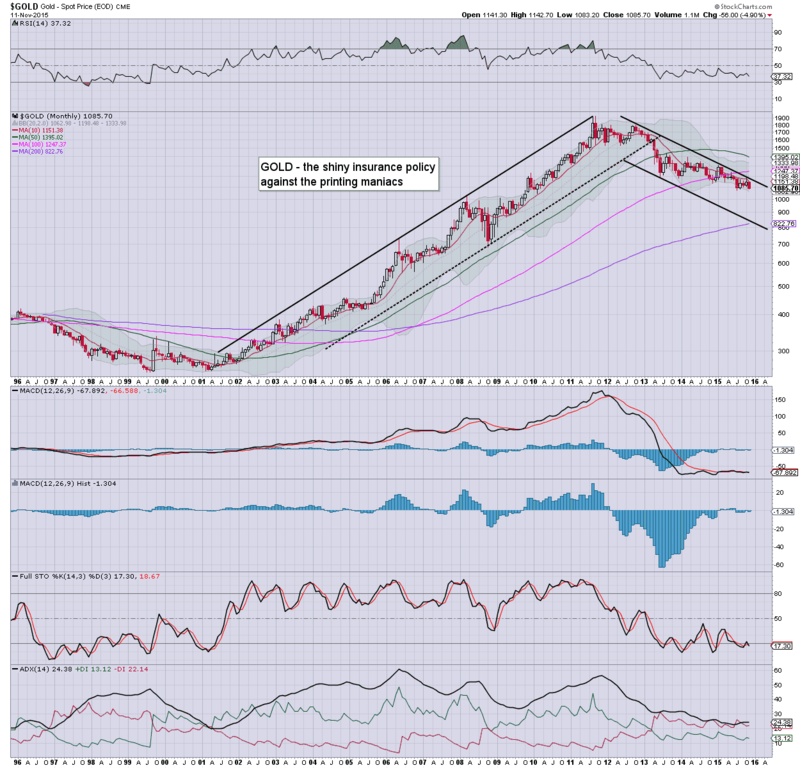 Metals remain weak, Gold -$2. Oil is already sig' lower, -1.4% in the low $42s. We're set to open decisively below the big bear flag...and frankly... its looking rather good for the 2050s today.. with VIX pushing into the 18s. 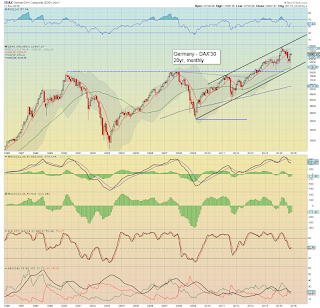 China: -0.5% @ 3632... looking tired... a test of the 3400s looks possible. 8.42am.. Gold -$4... @ $1080. The low to break is $1072... and then its open air to the giant $1K threshold. 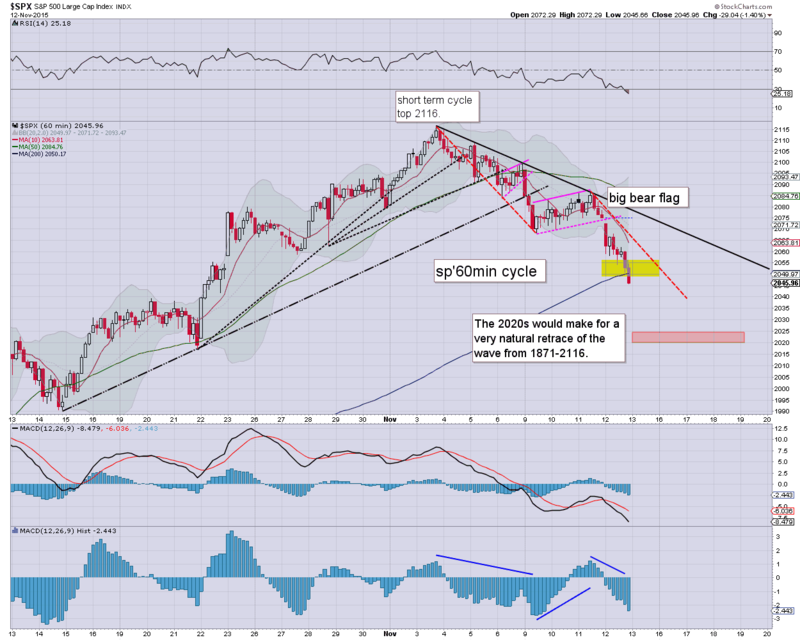 Gold bugs are in for a world of hurt into year end. Higher rates are bearish gold... and the related mining stocks will be similarly hit. 9.20am... The 200dma has been taken OUT in pre-market. 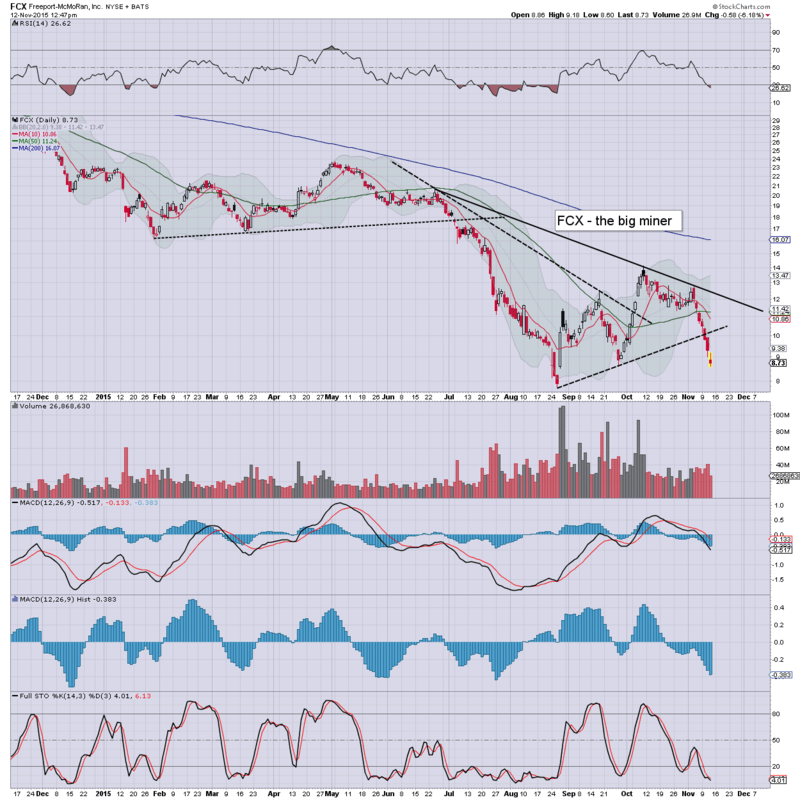 Gold... $1075... new multi-year lows... imminent. 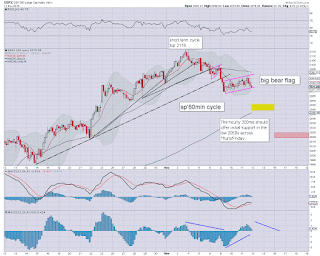 9.40am... decisive opening... to sp'2060... another 10/15pts look viable by the close. Time is an issue... bears window should stay open until late Friday/early Monday. Commodities remain under pressure... with energy stocks getting trashed again. US equities remain net lower on the week, with the sp' set to lose the 200dma (2063) before the weekend. Regardless of the ongoing weakness, the broader trend into year end is to the upside... not least as other world markets continue to claw upward. 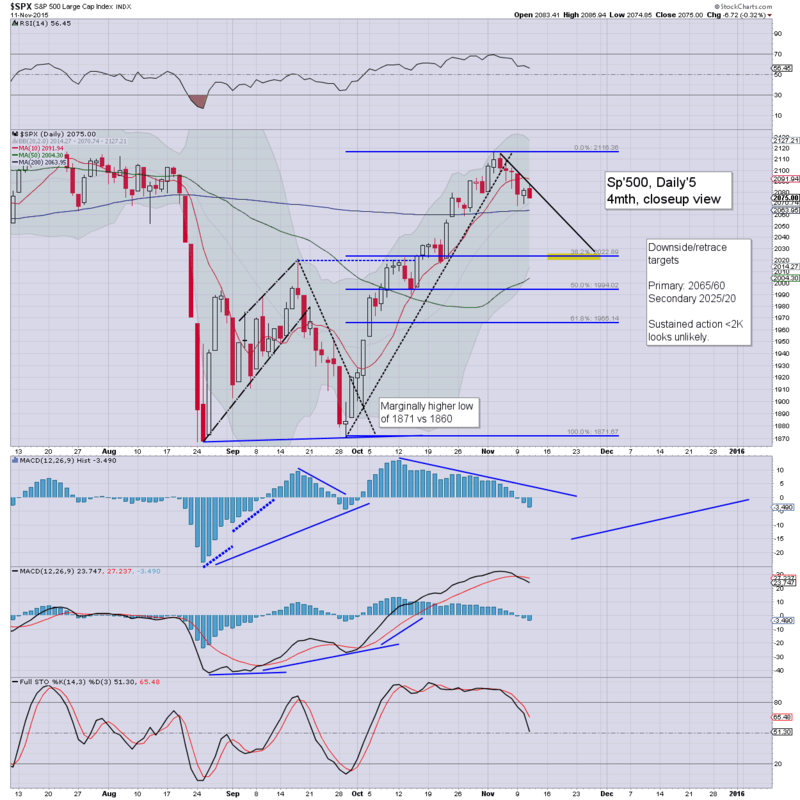 A weekly close in the sp'2060/50s looks very probable, and that will keep open the door to the 2020s next week. I suppose its even possible we'll test the 2010/00 zone - where the 50dma is lurking, but regardless.. we still look set to then push broadly higher into year end. 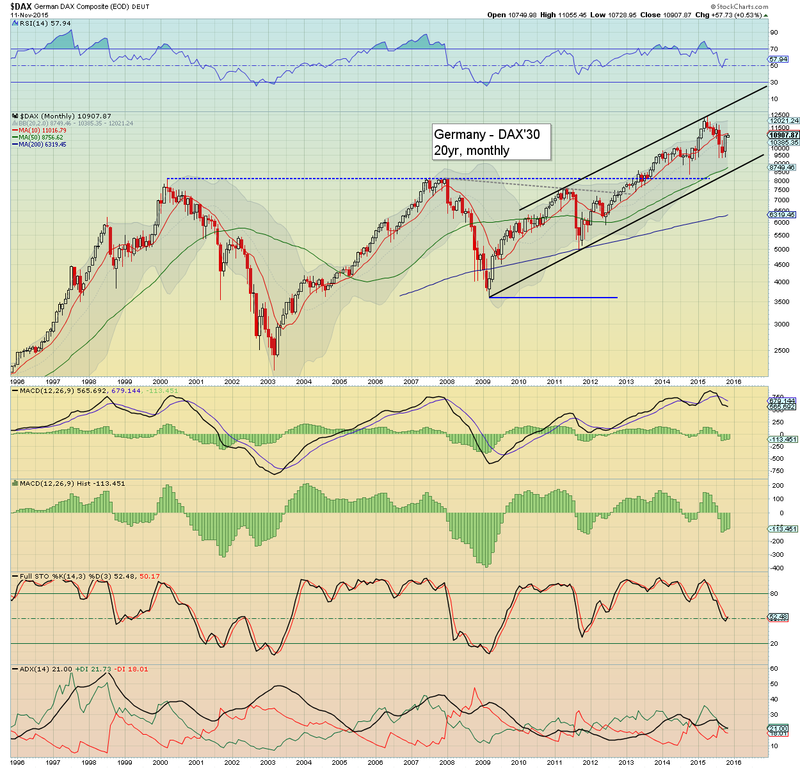 Indeed, the Dow, sp'500, and Nasdaq could all break new historic highs into year end. Pretty incredible.. considering the bearish price action of late Aug/September. re: German DAX. A year end close above the monthly 10MA (currently low 11000s) will be very important. However, if the market is inspired by renewed confidence in the US Fed, the 12000s remains viable... and that would no doubt help improve sentiment across the rest of the EU markets. Thursday will see the usual weekly jobs, the latest EIA report, and the US Treasury Budget. *there is a veritable truck load of Fed officials speaking, inc' the Yellen, Bullard, Dudley, with Fischer due AH. Mr Market will no doubt keep an eye on any comments, not least about anything alluding to a possible rate hike at the Dec' FOMC. US equity indexes closed moderately weak, sp -6pts @ 2075 (intra high 2086). The two leaders - Trans/R2K, settled lower by -0.4% and -0.8% respectively. 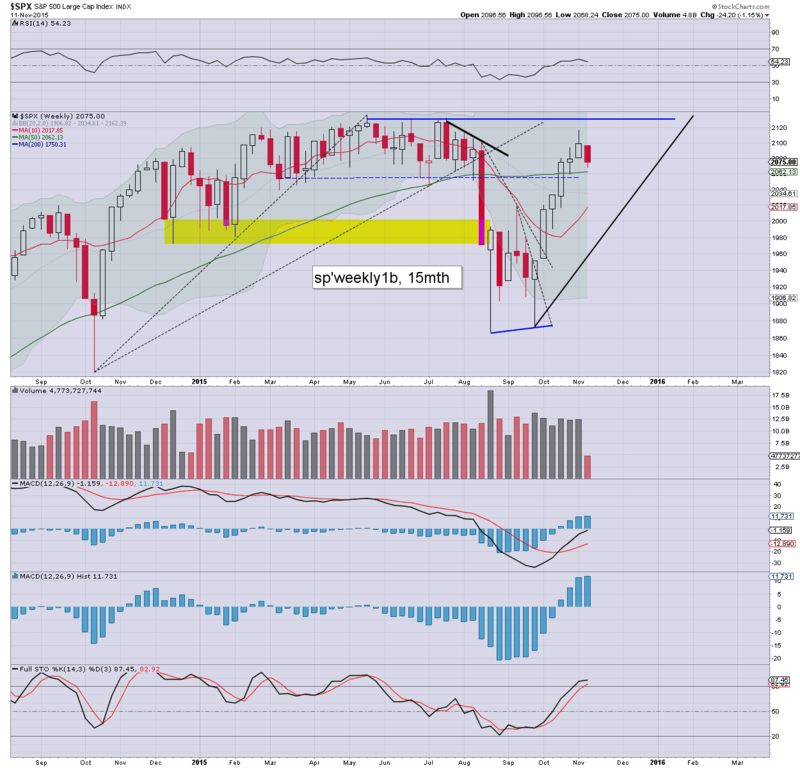 Near term outlook offers the 2050s, with a full natural retrace to the 2020s viable early next week. 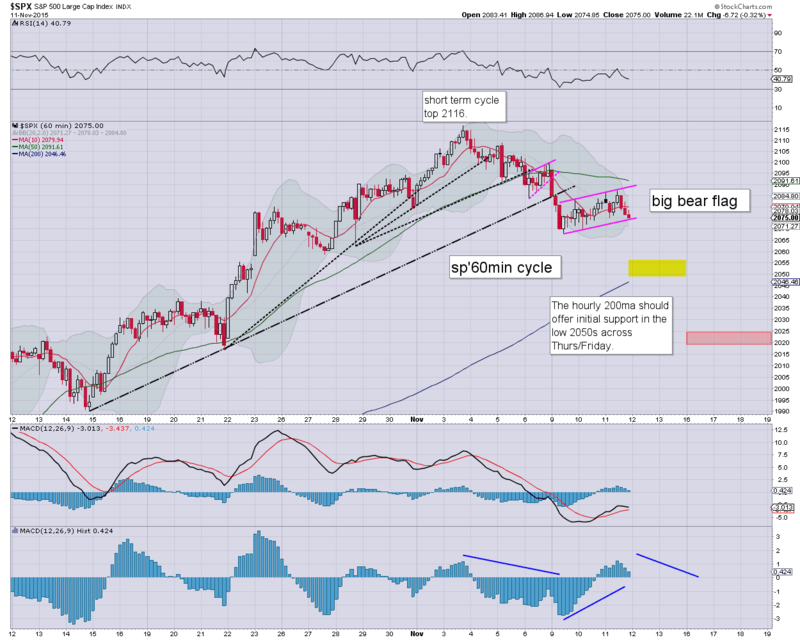 So.. equities are back on the slide.. and look set for another few days lower.. into early next week. Equity bears should see 2% knocked off most indexes.. at best.. the sp'2020s.. before resuming higher.